Beautiful, although in the depths of Winter it might be a bit different. 160 acres of bottom land, irrigated by the Yellowstone River, with a row of cottonwoods along the bank. Cross the bridge to your land, then burn it behind you. Commit to the true life. 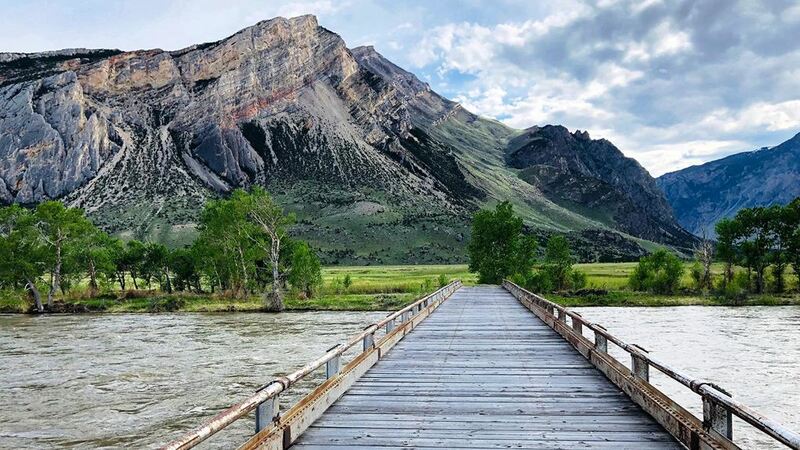 160 deeded acres at the base of the Absaroka Mountain Range, straddling the Clarks Fork of the Yellowstone River and at the mouth of the majestic canyon, Clarks Fork Canyon Meadows takes in one of the most breathtaking scenes in the west. The adage applies very well in this case - The house is yet to be built, but the view and landscape are finished to perfection. Heck, who needs a house? Set up a ring of tepees in the summer, and live like Man was meant to live. Sleep on buffalo robes. Fish your food out of the river, or feast on venison or bison. Find a beautiful Sioux or Cheyenne or Choctaw woman to help you live out the rest of your days. Follow the link to see a series of mouthwatering photos of the property. All yours for a little over 2 million, or whatever you could negotiate. Wonder what it looks like during flood stage and winter? I suspect that it's under about ten feet of snow right now. Thanks a lot! Down the rabbit hole I went. Lol.